Easter is right around the corner! Hooray! We have had the longest winter ever and I am so excited for spring to finally be here. I am looking forward to the beautiful colors that come with spring. We have a couple more weeks left until the snow melts so the colors can start appearing. 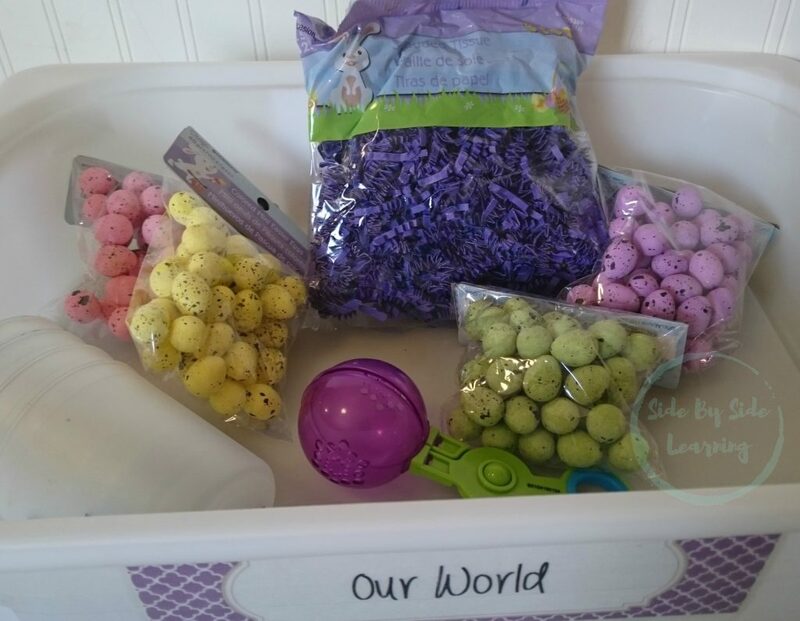 One way that we are bringing spring colors into our home is a simple Easter inspired color sorting sensory bin. To get started you only need a few supplies. 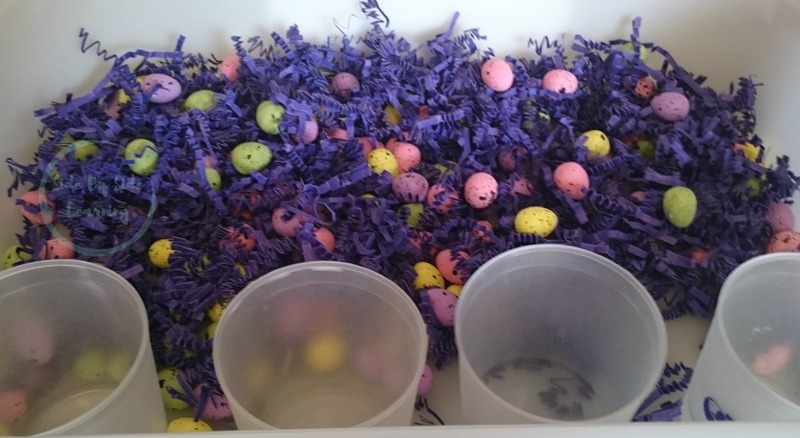 Run to your nearest dollar store and pick up some mini colored eggs (mine are foam) and a bag of shredded tissue or fake grass. You will also need some containers for sorting. I used our painting cups but anything will work, get creative. 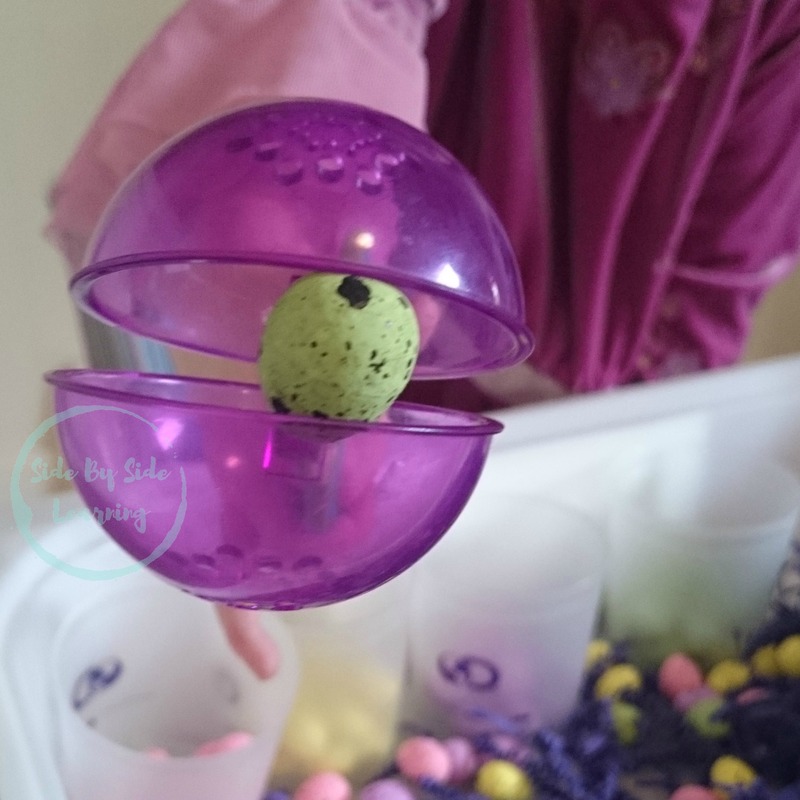 You will also need a tool to pick up the colored eggs. You can use spoons, measuring cups, etc. I used this set of tools. Tadaa!! 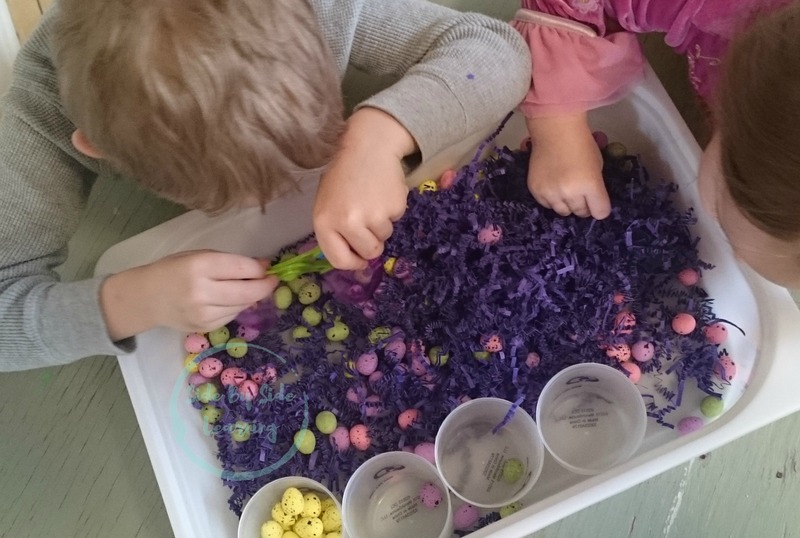 Assembling this color sorting activity is as simple as dumping the supplies in and mixing them up. You can even allow your kids to set this activity up without worrying. Fine motor practice is essential for young kids. Being able to control fingers is a skill that your kids will need to master in the up coming years. 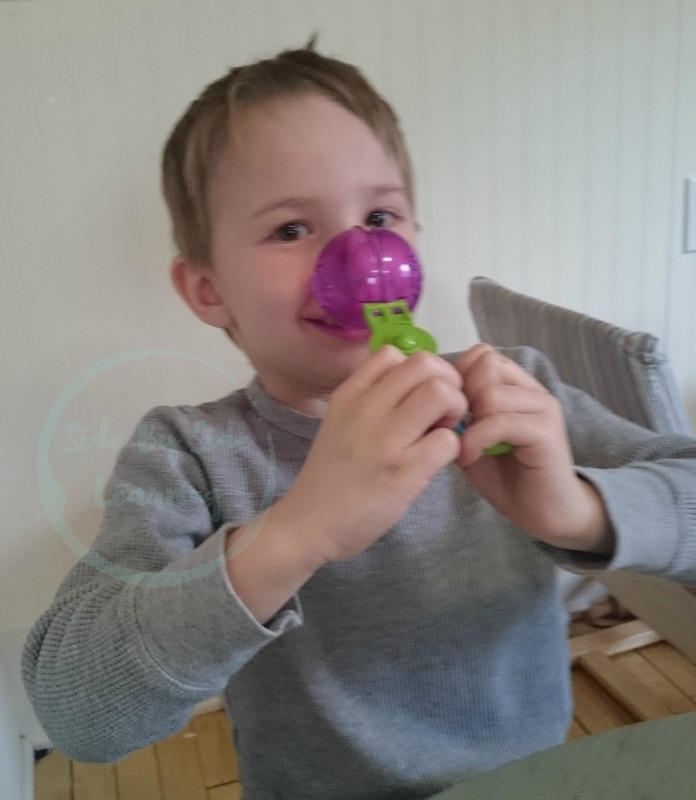 Building fine motor skills doesn’t have to be boring. Using tongs is one way that you can bring some variety into your child’s practice. Having your children use the tongs to pick up the eggs is wonderful practice. 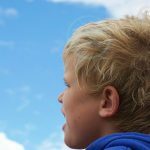 If you are finding that your child is looking for a little bit more of a challenge then follow their level of interest and ability. 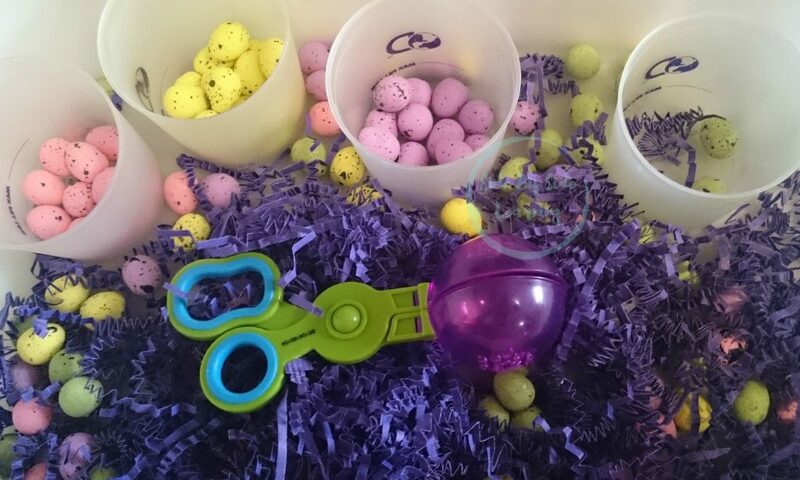 Use your containers or cups and direct your children to separate the eggs by color. Each color could have their own container. 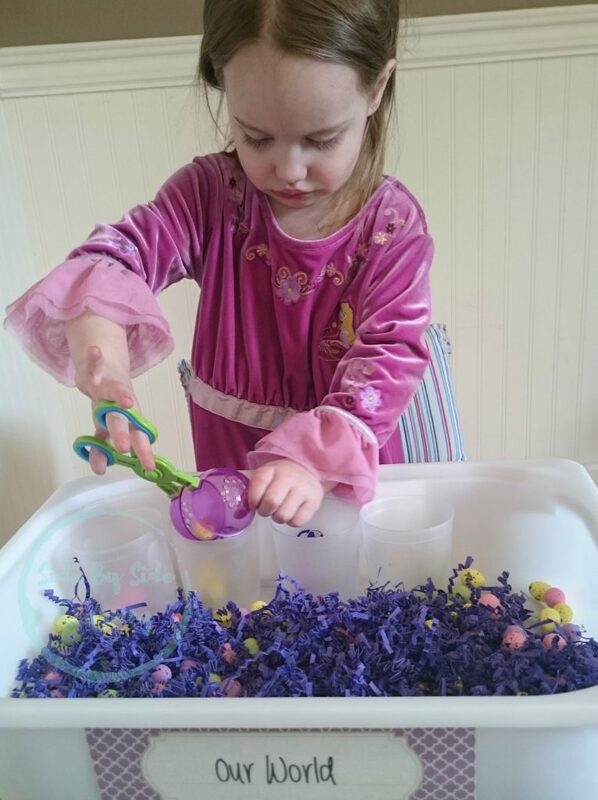 Have your children count the eggs and place a certain number of eggs in each container. Combine counting with color sorting. Ask your child to put two green eggs and 3 yellow eggs in one container. Then ask how many colored eggs are in each container. Don’t forget to be goofy and enjoy the time you have with your kids! How are you bringing spring colors into your home? Comment Below! I’m glad you like it! The supplies are so easy to find this time of year and its quick to throw together. I hope your daughter has tons of fun.